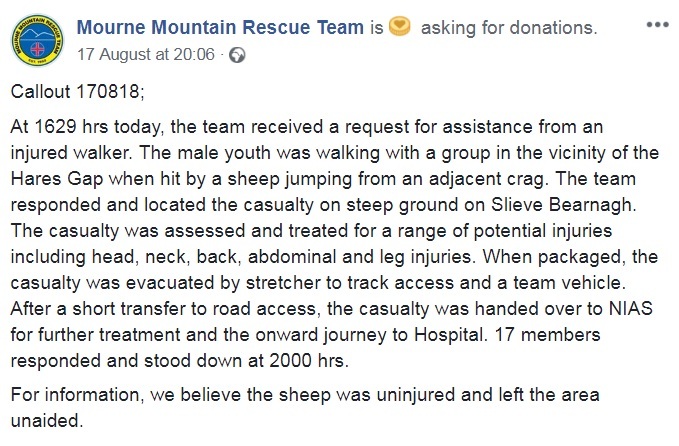 A teenage boy is being treated for his injuries in hospital after a sheep fell on him from a mountain crag. 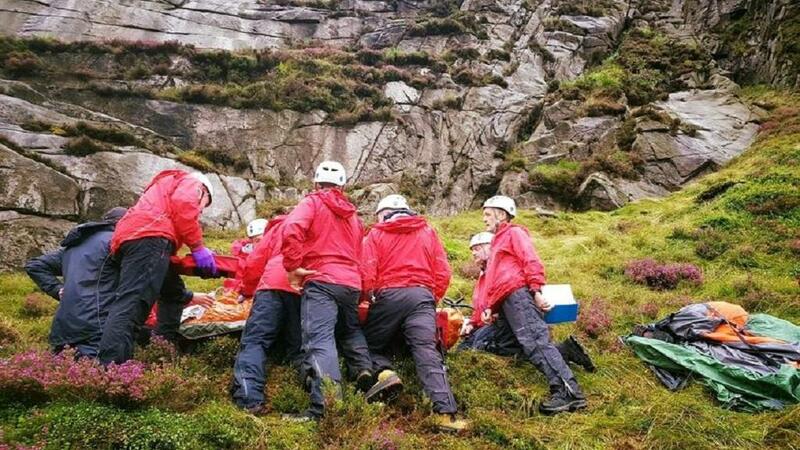 The Mourne Mountain Rescue Team found the casualty on steep ground at Slieve Bearnagh, in County Down, Northern Ireland, after being called to the scene on Friday (August 17). The boy had been walking with a group and the sheep is believed to have fallen from an adjacent crag. A Mourne Mountain Rescue Team spokesman said: "The casualty was assessed and treated for a range of potential injuries including head, neck, back, abdominal and leg injuries. "When packaged, the casualty was evacuated by stretcher to track access and a team vehicle. "After a short transfer to road access, the casualty was handed over to the Northern Ireland Ambulance Service for further treatment and the onward journey to Hospital. "For information, we believe the sheep was uninjured and left the area unaided." A number of social media users saw the funny side to the bizarre incident, while wishing the youngster a speedy recovery. David Flanagan posted: "What is the natural world coming to? Pigs might fly, a cow was seen to jump over the moon and now a base-jumping sheep. Hope the guy that got in the way of its antics makes a full and quick recovery." Dave Dickson wrote: "Well done MMRT. I’ll be up there in September. We’ll watch out for flying sheep!"